A Safari browser extension that blocks an artisanal selection of advertisements and trackers for a faster web. Many sites use third-party scripts to track your behavior across the web. This requires an enormous number of requests, which drain your phone’s battery. Advertisements are not optimized for the mobile web. They consume a huge amount of bandwidth, causing pages to load slowly. Protecting privacy on the web is important. 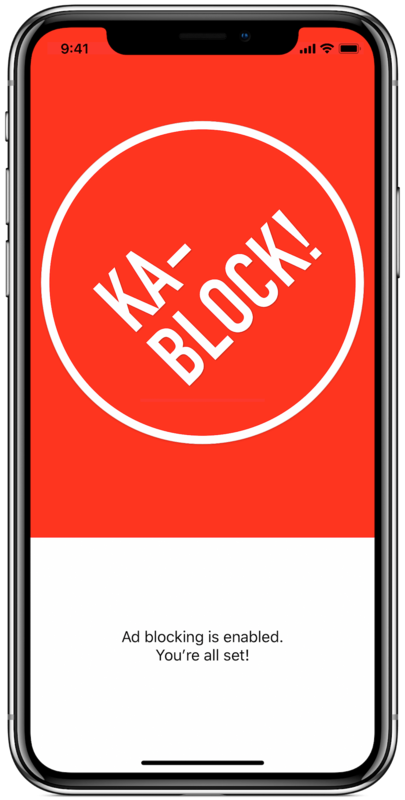 We hope you enjoy Ka-Block! Ka-Block! © David Graham & Josh Peek.